The internet presents video professionals with many different choices when it comes to the acquisition of new and used professional video equipment. So, why should you turn to New Pro Video, and what do you have to gain from us that our competitors might not be able to provide? 21 years of experience: Not every broker can claim to have the duration and depth of industry experience of Barbara Holler. She knows the professional video business deeply and can solve problems in ways that other, less experienced brokers might be at a loss for. Honest depictions of equipment: Because Barbara only works with manufacturers and other partners she trusts and has a deep understanding of, the pictures that she uses to accompany descriptions of the equipment she deals in can be considered accurate and trusted. 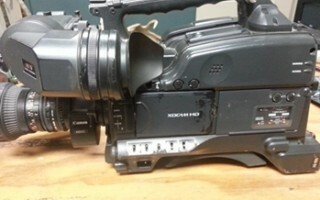 There’s no need to worry that an item of professional video equipment might show up misrepresented or broken. If there is ever a mistake, you can trust that Barbara will take care of it, unlike the often unreliable customer services systems of other companies. Work towards owning, not renting: Barbara will help those who are interested in committing to their profession to the long-term, and will therefore take steps to identify the right professional video equipment that others might not be as willing to take. High satisfaction: No-nonsense performance and a focus on the customer means that you can count on Barbara to deliver more attention to your needs, and therefore there’s a better chance of leaving a deal happy and looking forward to getting to work. Contact Barbara for more information on how to start making steps toward your professional movie cameras and other related goals today.